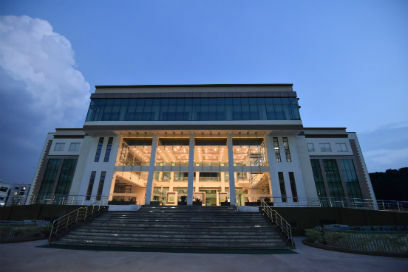 Jamshedpur: XLRI- Xavier School of Management, one of India’s premier B-School, is all set to hold its 63rd Annual Convocation on 23rd March, 2019. On this significant day, 520 XLRI students will receive their graduating certificates and medals including – 182 & 179 students of Postgraduate Programmes in Management – BM and HRM; 109 students of 15-months PGDM (General Management) Programme; 12 students of Fellow Program in Management (FPM) and 38 students of 2016–2019 batch of PGDM-BM Programme (Evening). Speaking about this momentous occasion Fr. E Abraham S.J., Director, XLRI said, “Convocation is the most significant event in the academic journey for every student, faculty and staff as it is the culmination of all the efforts put in by an individual during their time at the campus. This year is an important milestone for us at XLRI as we celebrate the 70th Year of our institution”. This year XLRI would confer the prestigious ‘Sir Jehangir Ghandy Medal for Industrial and Social Peace’ to Padmashri Anu Aga, Former Chairperson of Thermax Ltd. She will also deliver the convocation address to the graduating students at the event. Mrs. Anu Aga is the Former Chairperson of Thermax Ltd. After retiring from Thermax, she took to social work. She is currently Chairperson of Teach For India. She has won multiple accolades for her works and contribution to the society. In 2010 she was awarded the Padma Shri for Social Work by the Government of India. She was nominated to Rajya Sabha, the Upper House of Indian Parliament on 26 April 2012, by President Pratibha Patil. Sir Jehangir Ghandy Medal for Industrial and Social Peace, instituted by XLRI in 1966, in honour of the Late Sir Jehangir Ghandy, former Chairman of the Board of Governors- XLRI is awarded to Heroic Leaders who have contributed towards the growth of their respective organizations and also impacted the growth of our nation in a significant way. The medal was instituted by XLRI in gratitude for Sir Jehangir Ghandy’s yeoman contribution to XLRI and the society at large. 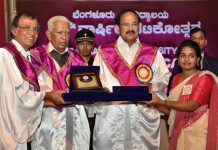 One of the oldest medals instituted by a higher education institution, the medal is awarded during XLRI’s Annual Convocation Ceremony to recognize outstanding contributions in the field of industrial and social peace in the country. 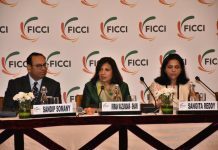 In the past years, the medal was conferred on eminent business leaders like Mr. N R Narayana Murthy, Chairman Emeritus and Chief Mentor, Infosys Technologies Ltd. in 2012, Mr. Shiv Nadar, Founder & Chairman, HCL and Shiv Nadar Foundation in 2013, Ms. Arundhati Bhattacharya, Chairman, State Bank of India in 2014, Ms. Mallika Srinivasan, Chairman & CEO, TAFE (Tractors and Farm Equipment Limited) in 2015, Dr. Sunil Kant Munjal, Jt. Managing Director of Hero MotoCorp & Chairman, Hero Corporate Services Pvt. Ltd. in 2016, Mr. Adi Godrej, Chairman, The Godrej Group in 2017 and Mr. TV Mohandas Pai, Chairman, Manipal Global Education and Aarin Capital & President of AIMA in 2018.